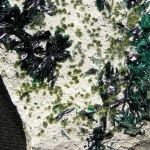 Museum sample of atacamite, with crystals over the centimeter of long. 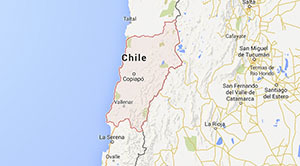 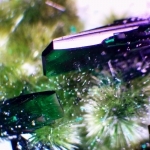 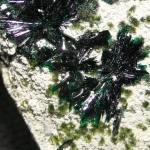 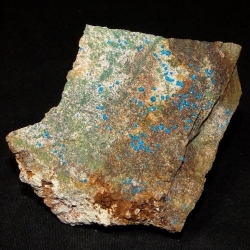 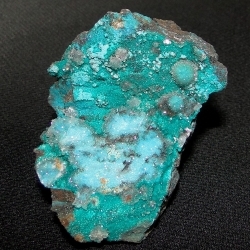 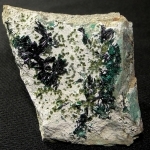 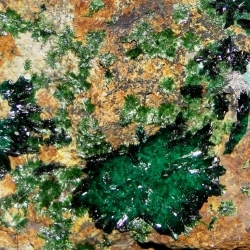 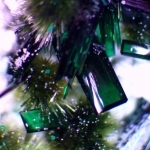 The atacamite is acompanied by libethenite, pseudomalachite, chrysocolla and halloysite. 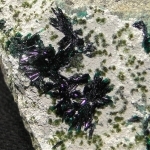 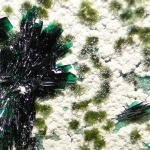 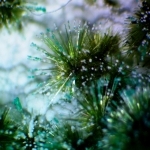 Sample of atacamite, with crystals over the centimeter of long. 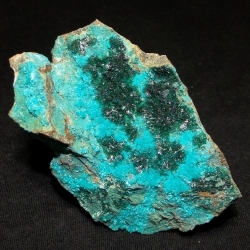 The atacamite is acompanied by libethenite, pseudomalachite, chrysocolla and halloysite.